Avoiding critical mistakes and financial pitfalls. Learning about the divorce process. Discovering what key legal terms mean. Feeling secure and gaining peace of mind as you make these important decisions. You’ve worked and sacrificed for everything you have. You want to regain control of your life and see your children every day. You need to protect yourself from predator lawyers and bullying tactics. Avoiding ugly and abusive conflict is your top priority. But above all, you want to stay positive. Change can be for the better. It will be hard, but know that you are capable of great things. You may even surprise yourself. Your decision to take action is a step in the right direction. 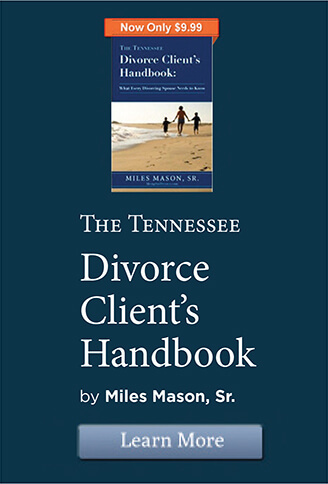 Tennessee’s leading web resource for readers and lawyers on Tennessee divorce law, the divorce process, alimony, custody, child support, property division, and mediation. MemphisDivorce.com answers hundreds of frequently asked questions on divorce, alimony, custody, and more, with videos, our Tennessee Family Law Blog, Memphis divorce professional directories, and a free child support calculator app for your smart phone. Discover all that you can learn. Miles Mason is a Familiar Name. 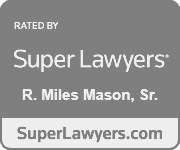 Well-known in the Memphis legal community as a divorce lawyer, author, speaker, and leader, Miles has dedicated his entire career to practicing family law. 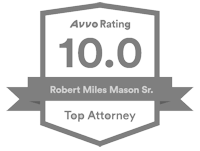 He feels a great sense of satisfaction, whenever he hears the information on this site has helped someone—even another attorney. He started MemphisDivorce.com in 1996 when he became frustrated with everything he read about divorce. That’s when he decided to write about the subject from an authentic perspective that would be more useful to the reader. Read his story. When you are ready, schedule your confidential consultation. We will have a candid conversation about what is most important to you, what you can expect, and most importantly, how we can help. The plan we create together will be specially tailored to your values, needs, and priorities. 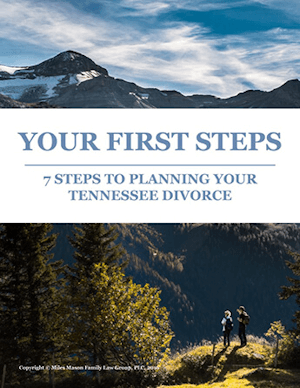 In the meantime, download our free e-book, Your First Steps: 7 Steps Planning Your Tennessee Divorce.